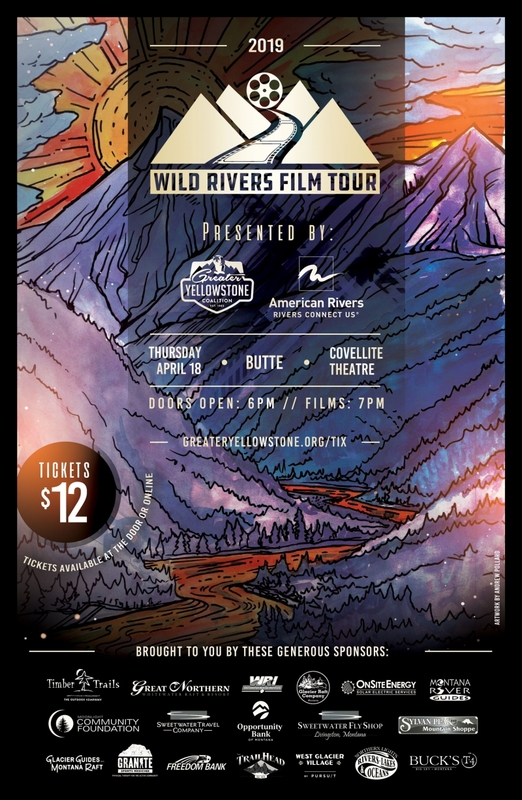 The Greater Yellowstone Coalition and American Rivers present the fourth annual Wild Rivers Film Tour. 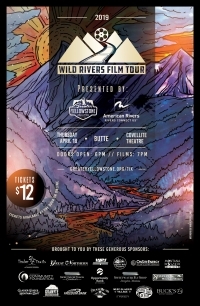 The Wild Rivers Film Tour showcases provocative and soulful films that weave adventure, conservation, angling, and paddling into one night of entertainment. The Greater Yellowstone Coalition and American Rivers will host the Wild Rivers Film Tour to promote the next age of river conservation in Montana and advocate for the introduction of the Montana Headwaters Security Act. The Montana Headwaters Security Act proposes to use Wild & Scenic River designations to keep iconic rivers on public lands in Montana clean and free-flowing. Nine magnificent films carry the audience through 110 minutes of emotional and exhilarating cinema. The 2019 selections include: Testimony to Congress: In Defense of the Arctic National Wildlife Refuge, Hallowed Waters - Legacy and Lifeblood of the Big Blackfoot, The Last Green Thread, Hank Patterson's Private Property, Glen Canyon Rediscovered, Grand Canyon Water, Shred for the South Fork, Hank Patterson's Multi-Use Tails, and Run Wild Run Free.